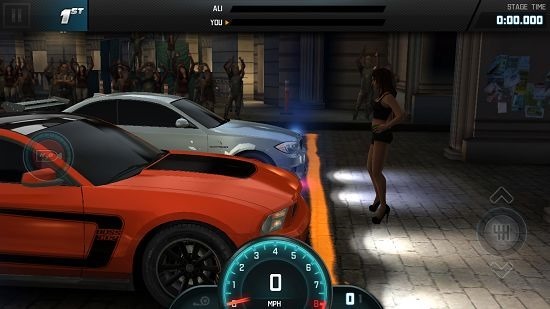 Fast & Furious 6: The Game is a free racing game app for Windows 8 and 8.1. 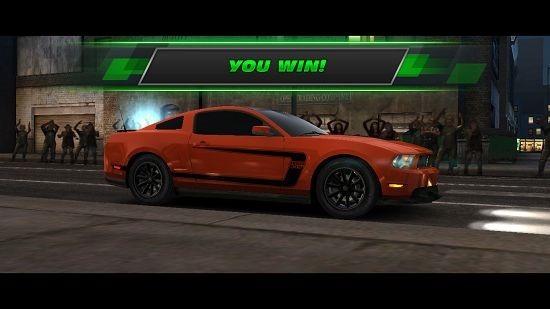 If you are a fan of the Fast & Furious series of movies, you will be pleased to know that this game revolves around the storyline of those movies. 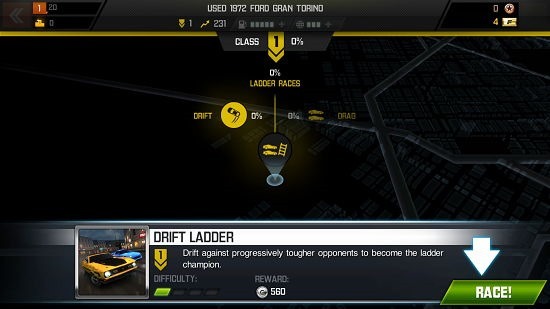 In the game, you get to compete with opponents and winning races will award you with game coins with which you can upgrade your car, buy new cars etc. – this is standard deal with most racing games. But what makes this game stand out from the crowd is that the storyline of the game is completely gripping, with the members of the Fast & Furious series of movies involved in the storyline. 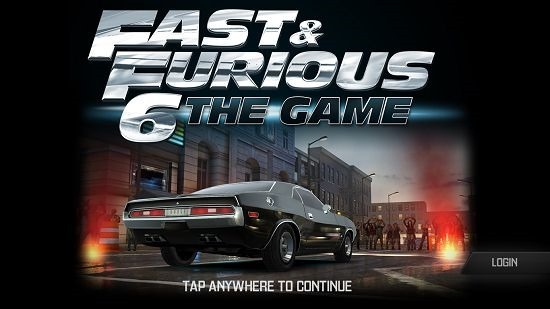 Fast & Furious 6: The Game is available for free from the Windows App Store. On the above screen, simply tap or click anywhere to proceed to the main menu of the game where you can head in and learn about the game itself. The below shown screen will be presented to you upon clicking anywhere in the above screen. You will be shown the instructions of playing the game in brief. 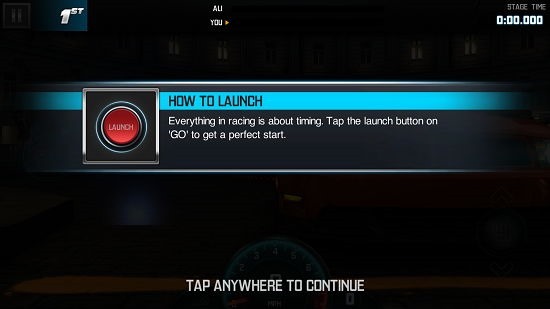 Then, you will be presented with a screen where you can start racing. The above screen is shown at the start of the race where the girl in front of the cars will signal for the race to begin. The speedometer at the bottom will indicate your speed in miles per hour and the controls on the screen can be used to navigate the car. The gameplay will look somewhat like the below screenshot. 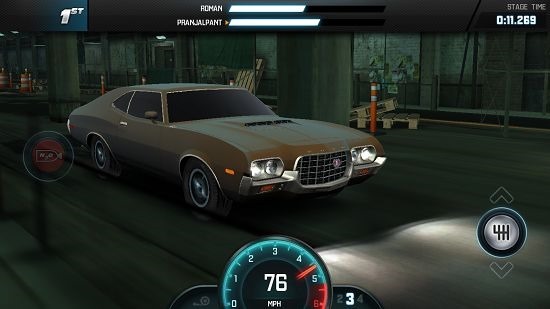 The above screenshot shows a drag race where the side view of your car is visible to you. Once the race ends, you will be shown the victory message along with the various rewards that you have won during the race. The storyline of the race is pretty interesting, and in the storyline, you will converse with the real characters of the Fast and the Furious movie series in a manner which is illustrated below. The game also has a map screen which can be accessed from the main menu on which you can choose the race which you wish to play. This is shown below. You can see the difficulty level of the race etc. from the above screen itself. Overall this pretty much sums up everything about the game. 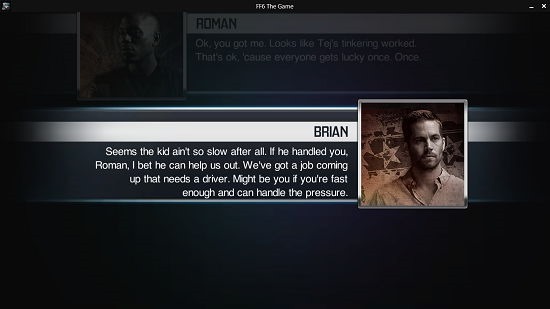 Fast & Furious 6: The Game is a well designed game app for Windows 8 and 8.1 which allows you to race in a movie like environment. The app carries the feel of the Fast & Furious movie series, and this makes it a really worthy download for people who love racing! Get Fast & Furious 6: The Game.